The Goldfinch by Donna Tartt can be summed up very simply. It is a retrospective narrative of one Theodore “Theo” Decker, who by unfortunate happenstance, is violently removed from a familiar life with his mother, orphaned, and given possession of a priceless painting (the title’s inspiration piece, The Goldfinch). Everything about this story is a response to that event and as his tale unfolds, you can see the moment woven into the fabric of Theo’s life. Donna Tartt’s writing is exquisite. As Theo gets older, his voice ages with him. You don’t really notice until you notice (I know, compelling stuff here) which makes it all the more impressive. Take the beginning of the novel: you are introduced to Theo’s adult self who sets the stage for the flashback to where his story begins. When you step into the mind of young Theo, I was struck by how adult the narrative was, while still maintaining a very juvenile dialogue. There are also subtleties to the characters that make them feel authentic. For example, as someone who lost a parent at a young age, the almost deity-like status Theo’s mother holds in his mind strikes a solid chord when placed against my personal experience with parental loss. Her attention to detail enhances your experience with the characters without coming off as a tedious exercise of redundant personality descriptors and other superfluous information. I think Tartt’s greatest victory comes from her ability to take arbitrary moments in Theo’s life, and follow them until they’ve become the definition Theo’s character. Many storytellers attempt to use these coincidental moments as a way to show how one meeting, one moment, can alter the course of the world, but they often fall flat. She makes it feel as if there could not have been another way; it was truly fated to be. It’s like following the ripples a pebble makes all the way across an entire lake. I am attempting to recommend this novel without spoiling any major sections of the plot and I think I have succeeded. It is not a daunting read (773 pages) but it’s not exactly a book you’ll finish on a cross-country flight. 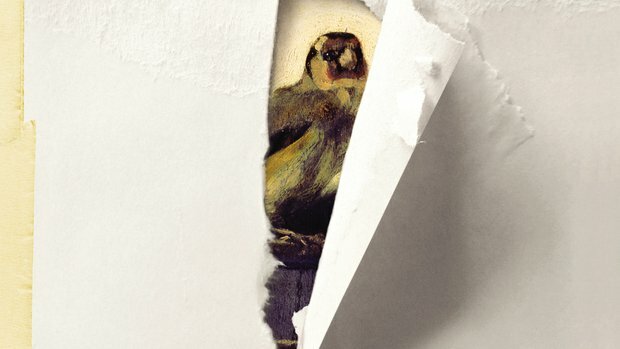 But trust me when I tell you, The Goldfinch is a book that you will not regret experiencing.